Why has koi keeping become so popular? Koi are believed to bring good luck, prosperity, and health to their owners. Watching koi swim around is soothing and peaceful. Also, gardening is becoming more popular and many house owners want to have a koi pond to enhance their landscaping. You may have garden fish or Arowana in your pond but almost all still ended up having Koi in their ponds instead of any other fishes. 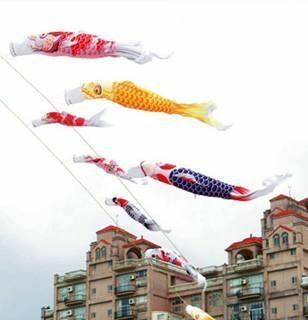 Koi are 'evergreen' and never get out of favour with home owners. Why the need for Koi Hotel stay? 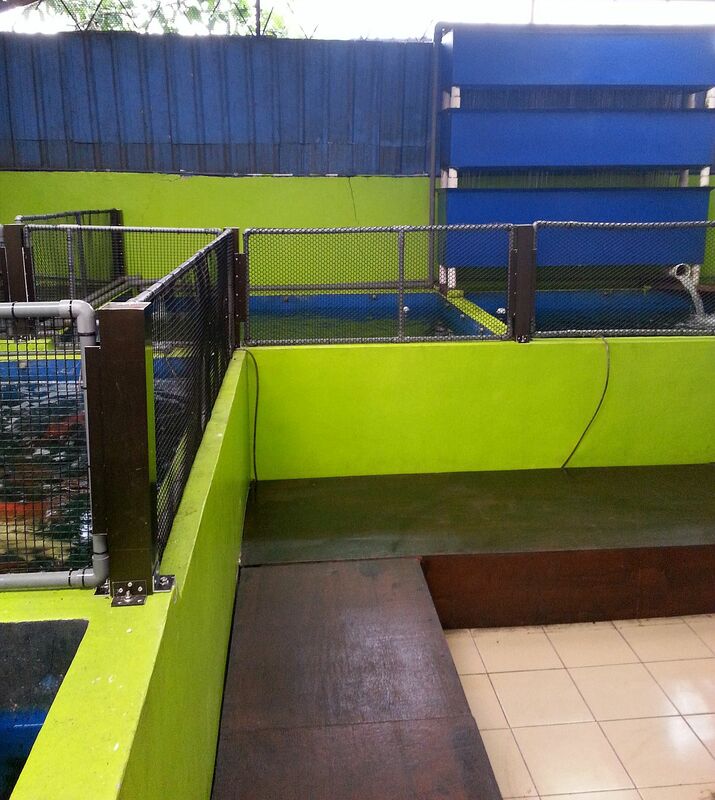 A section of our outlet is dedicated to Koi Hotel with pond sizes 4 to 8 tons water. These ponds are supported by AC back-up units as a safeguard for your koi should a power failure occur. Koi upon check-in are inspected for any injuries or infections and these are treated before they are settled into the pond. 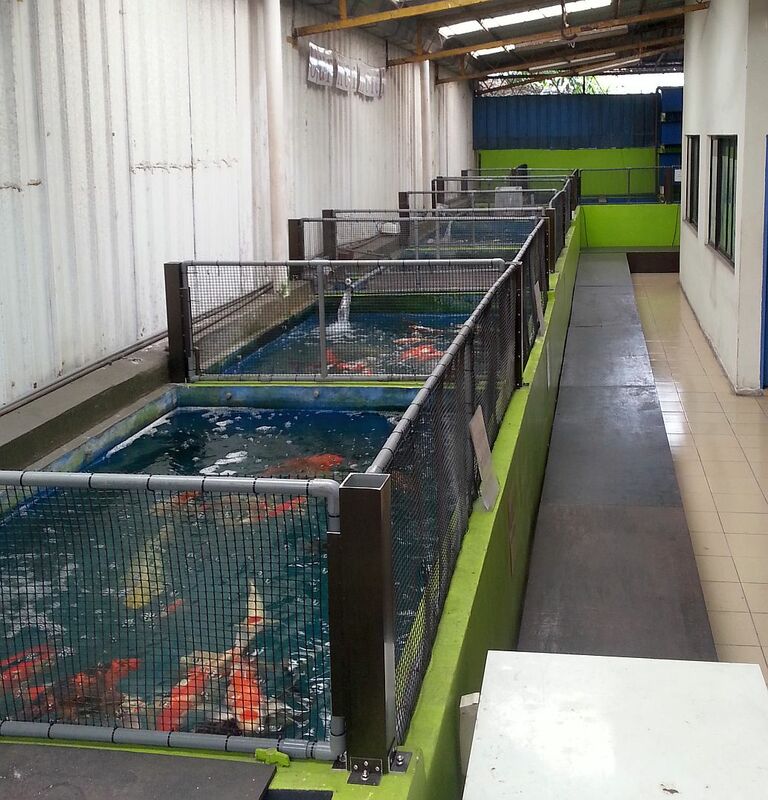 Our fee is based on the size and number of koi as these factors would determine the size of our pond to house your koi. We charge minimum one month's stay. Beyond one month, our rate, at weekly interval, is lower than the initial first month. This service is popular. 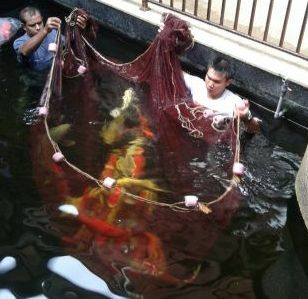 We have our trained staff and complete set of equipment to pack your koi at short notices, but about 3 days notice in advance as it is important to fast koi before packing and transferring them.